The appointment line is closed between 12:00 and 14:00 on Thursdays for staff training. If you have a problem that cannot wait for a routine appointment, please refer to our Urgent Problems and Out of Hours page for information. Please book one appointment for each patient who wishes to be seen. Please understand we cannot always give you the doctor of your choice as he/she may not be available. Every effort is made to ensure that you are seen on time but if for some reason there is a delay, you will be informed. Our Practice Nurses/Senior Healthcare Assistant are available by appointment for injections, diagnostic tests, smears, new patient checks, routine blood tests and blood pressure checks. We also run clinics specifically for diabetes, asthma, well baby, ante-natal, Coronary Heart Disease, hypertension and advice on healthier lifestyles and weight management. Our Practice Pharmacist is available for medication reviews, queries regarding your medication and annual reviews for patients with hypertension and mental health issues. Our Pharmacist is an independent prescriber and will be able to make appropriate alterations to your prescriptions. If you see our Pharmacist for medication reviews you will not need to see the doctor to have your medication updated. If this is your first use of the Patient Access system, please take a few moments to read the guidance notes. Telephone consultations with a GP can be prebooked if you think your problem can be dealt with over the telephone or if you require advice. An appointment time will be booked and the doctor will telephone you at approximately this time. Please allow 30 minutes after your booked time for the doctor to call. These appointments are part of the surgery time and, as with face to face appointments, can sometimes run late. If your phone rings out unanswered or the doctor gets an engaged tone/voice message, they will try once more to contact you. If they are unable to contact you after two attempts your appointment slot will be cancelled. The doctor will not call you back again, you will need to book another telephone appointment slot. Telephone appointments are only available during surgery hours. Advice is also available from the NHS 111 service by calling 111 from your landline or mobile phone. 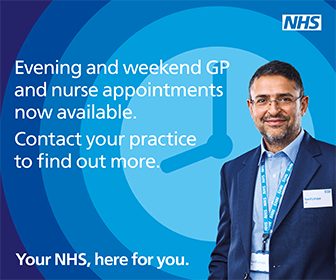 If you are unable to attend for your appointment please tell us in good time so that we are able to offer another patient the use of that appointment. Please call us on 01785 712300. By Fax: Please send us a fax on 01785 713696. 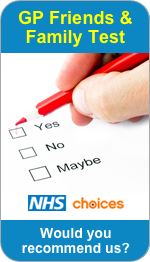 As part of our commitment to all our patients we monitor the efficient use of appointments. If a patient regularly fails to attend a booked appointment, the practice reserves the right to remove them and their family from the practice list.